There are many different factors that play a role in the successful recovery of someone who has abused alcohol or other substances. One of the biggest factors are support groups. There are quite a few reasons that addiction recovery support groups are vital to the success of recovery, and possibly just as instrumental as any other supports put into place. Being part of or having a support group can really help a person to feel understood without feeling judged. Everyone in the support group, depending on how specific, has gone through the exact same thing or something incredibly similar, that they can offer empathy as well as support. With this empathy and support, there is a sense of validation. A person feels validated that what they are experiencing is common, normal, expected and is okay. Because alcohol or substance use is an experience unique to those in the group, outside supports may not be able to understand the thoughts and feelings that an individual has, though an addiction recovery support group can. Each step of recovery brings new positives and negatives. With different members at different stages present in the group, people can learn what to expect, or what they may possibly face at each stage of their journey. This can help an individual prepare for their own particular experience. Gaining understanding of what they may encounter and deal with can help an individual feel more empowered and in control. People in addiction recovery support groups tend to have the same broad or overall goal or goals. The first one is to stay clean and sober. Uniting over a common goal can help people form bonds and become invested in one another. Knowing that there are people on the same journey, achieving the same milestones, goals, and finding success can be the push that some individuals need to stay sober or substance free. For others it can be something they realize is actually an attainable goal because it is being achieved and still for others, they may simply not want to let down themselves and those invested in them by not working towards the common goal. Members of a support group can offer tips to help each other. If an individual is struggling with triggers, enablers, or any area along their journey, other members can help. People can offer what they do that works well to help them master trouble in certain areas or what they do to cope with the urge to drink or use again. Adding different coping skills and ideas to ones already learned or developed is a great benefit and advantage of going to a support group. 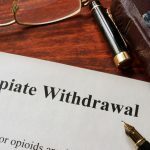 Since other members already went through the same or similar issues and trials, they may notice signs of relapse or pending relapse more readily. While family and friends may be taught what signs to look for, they may miss them and they may not even be aware of other subtleties that indicate a relapse has happened or is imminent. Members of the support group may know what family and friends do not because they have either experienced it or know exactly what to look for. If you are asked to become someone’s sponsor, then there are two lives that are dependent on the success of one person. This encourages and pushes the sponsor to remain sober and drug free. They have essentially become a role model and have achieved something that the sponsored aspires to do. They also have the responsibility to stay alcohol and drug free because they need to show the person that they sponsored that it’s possible to truly live that type of lifestyle. A sponsor needs to be available and in their right mind to be able to help especially in case of an emergency and therefore cannot be easily triggered. Lastly they must be resilient enough to support the sponsored along their own journey, as the journey will be met with many challenges that the sponsor may have to be present for or helpful with. Being a sponsor is an incredibly rewarding but weighty position. It’s a journey of personal development as well. As a sponsor, a few of the qualities that one will need to possess and develop even further are patience, being sacrificial (initially), honesty, and being encouraging (but not enabling). With just these few reasons alone, addiction recovery support groups are a tremendous help to individuals who are attempting to recover, in recovery, and are maintaining sobriety and a substance-free lifestyle. Everyone can benefit and has a position that is important for the success of other individuals and themselves. What does Long Term Alcohol Abuse do to the Brain?